The Yancy Corporation is currently seeking 10 million dollars of investment funds for building two full scale demonstration units, one materials, one biological, completion of secondary technology patents, and corporate operation. The Yancy Corporation is an Intellectual Property company with very high revenue potential and groundbreaking technologies. Our team is highly creative and very experienced in the high tech sector with business associations that provide a strong and diverse foundation for the corporation. The Yancy Corporation adapts ideas and technology that our Team has already produced or creates new knowledge and technology to solve problems and open new possibilities to humanity. The knowledge and technology is developed, patented, and licensed to OEMs for product development and manufacturing. The revenue from licensing and royalties is used to provide value to our stockholders and fund the development of new ideas and technologies. This strategy helps to solve problems, create jobs, and increase knowledge. Increasing the application of knowledge and the resulting expansion of technology for the betterment of humanity benefits all and provides Yancy Corporation with great revenue and the opportunity to expand it’s potential. There is currently no microscopy technology that can compete with the Moleculescope. Far exceed even the best microscopy technology. The current Microscopy market for all microscopy devices is $5.75 billion USD. 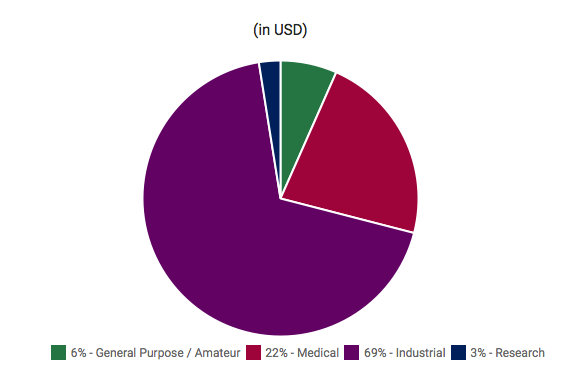 The semiconductor mask market that is integral to the lithography market for 2014 was $3.5 billion USD. The current forecast for world semiconductor fab front end equipment, Lithography systems, expenditures in 2015 is 42 billion USD. These stats place the current market for Moleculescope technology at $51.25 billion USD. 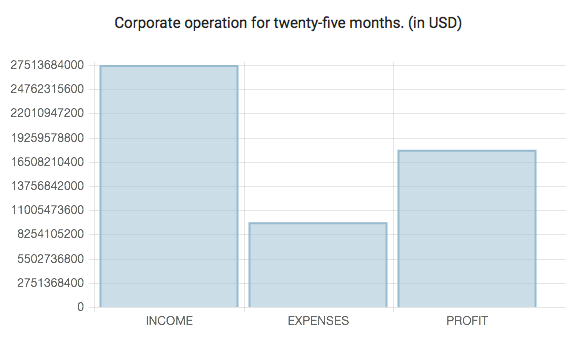 The Profit and Loss graph shows the relationship of expenses and net profit to total income. The return on investment in Yancy Corporation is potentially very high and long term as intellectual property continues to be generated. Two demonstration units, one material, one biological. Completion of V.S.T. patent application and world patent applications. The Yancy Corporation ten-year revenue projection is based on the market projection of the Moleculescope at 4% license fee and a 4% royalty fee. The same values have been applied to the V.S.T. products as well. 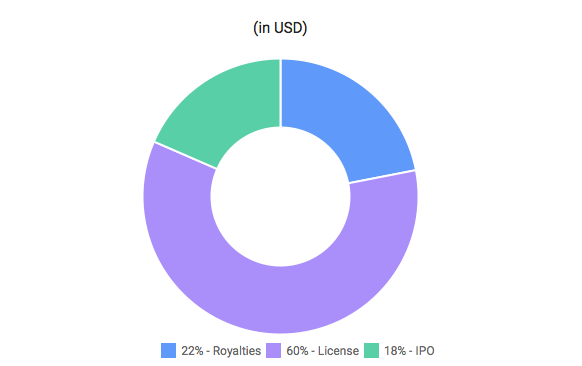 Future patents are valued at similar rates and IPOs are estimated to match other IPOs of basic new technology. The Moleculescope market projections spreadsheet shows the ten-year plan for introduction of application products produced by an OEM based on the Moleculescope technology. The 23 applications are listed with the projected intro date and the quantities that will be produced. The revenue created by the sale of these products is listed and totaled year by year with ten year totals. Listed also is a description of each application product. The ten-year total sales revenue for an OEM that produces the Moleculescope application products is: $312.1 billion. 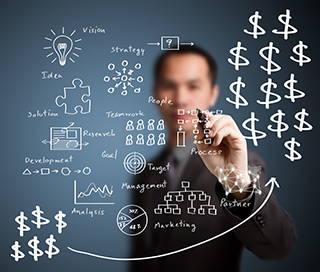 The risks associated with investing in the Yancy Corporation are minimal in terms of an early stage company. The technology has been proven with several working prototypes and amply documented with the demonstration video of several material types and magnification. Investing in Yancy Corporation, as analyzed in the above list, indicate an overall low level of risk that can be further mitigated with the additional funding for building demonstration units and showing the world the capability and versatility of the Moleculescope Technology. A risk assessment was completed and documented in a valuation of Yancy Corporation by Ron Epperson of Intellectual Energy LLC in February 2015. Reduces Risk: Yancy’s founders have considerable technical and market expertise in the microscope business. Reduces Risk: Yancy has filed a strong US patent application with broad coverage of the technology. 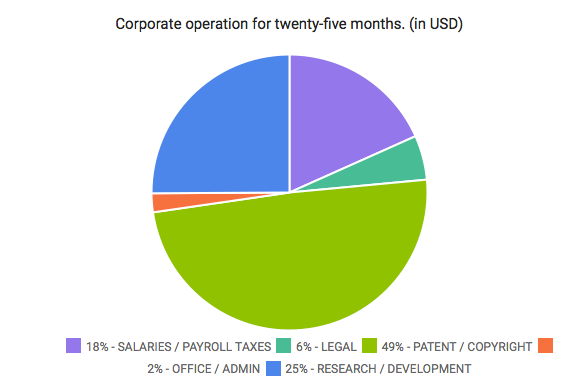 Reduces Risk: Yancy’s patent portfolio can build off of the initial filings and use a very favorable priority date to buttress the core patent. Reduces Risk: Yancy’s patent portfolio has issued patent for the Moleculescope technology. This is the foundation technology on which many application and new technologies will be based. We invented a technology that unlocks the potential of the nano-scale. Expanded knowledge is the foundation of new science, technology, greater health, and economy.